We found this great tutorial from over at The Inspired Room on how to make a glass lamp using a large glass bottle. Of course, the knowledge shared can be applied to make table lamps out of other material too; you’re not limited simply to glass bottles as the lamp base. You even can be on your way to making your own floor lamps. 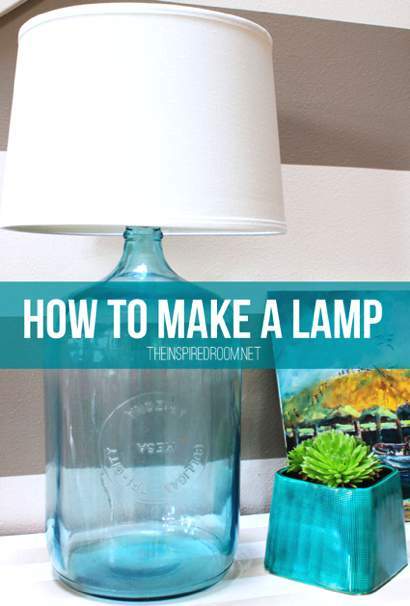 We love this project because with these skills your can build a lamp to perfectly fit your room decor. Additionally, creating your own lamps often can save you lots of money.